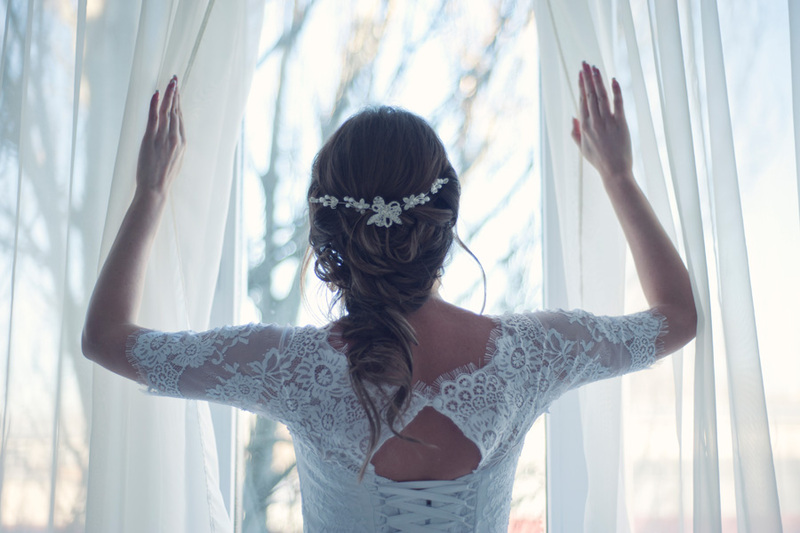 Ensure you look stunning on your special day and let us take the stress out of planning with our Ultimate Wedding Hairdressing package with our dedicated bridal hair specialist. At this initial consultation you will discuss all your requirements with your bridal hair specialist. Any future appointments, including your hair on the day, will be booked now. Your bridal hair specialist will spend up to 2 hours with you, trying out various styles, or perfecting the style you have already chosen. You will be advised about hair ornaments or if you already have chosen those, will be asked to bring them into this appointment and will be advised on what to do in preparation for your wedding day appointment. Wedding party packages or deposits to be paid for at this stage. The Ultimate Wedding Hair package is available from £154. Book your initial consultation by calling 01444 413839 today. Any beauty treatments including nails or makeup booked at the same time as the hairdressing package will also receive a package discount of 10%. *With our wedding hair package appointments must be booked and paid for at the trial appointment. A deposit of 50% will be taken for all appointments made on the wedding day. This becomes non-refundable 4 weeks before wedding appointment. Wedding hair can also be booked as separate appointments at full price.